4 track Black Vinyl 7" Limited to 314 copies. SHOPLIFTERS are from Serbia, but listening to their songs you might think they're from the UK. Specifically the UK in about 1994. Their previous releases (including a split 7" with WHITE FLAG and their incredible album 'Believe') provided a stormy mix of SNUFF and BIG DRILL CAR style punk rock. However, for this new 4 song 7", Shoplifters have cast their net even wider and caught a sound that that builds off their prior work but incorporates new elements. This time out, you can feel the melodic side of the band come through even more strongly. Often it brings to mind early, at their best, CHINA DRUM. 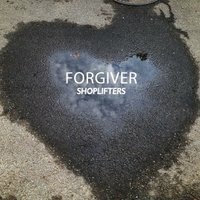 At the same time, SHOPLIFTERS are tapping into a vein of even stronger energy than before with a whirlwind of forceful, BOB MOULD-style guitar shredding and a hefty HUSKER DU influence. If you're looking for loud guitars, big hooks and melodic vocals you'd be hard pressed to find a band more up your alley than SHOPLIFTERS.